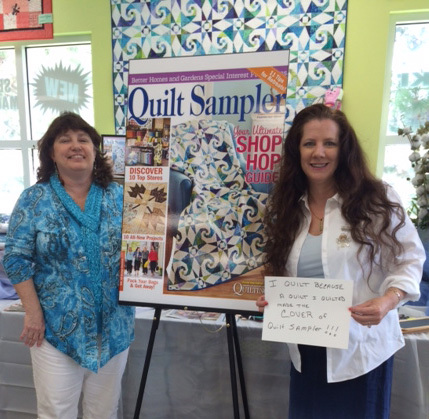 We never imagined our quilt would be chosen to be on the COVER of the Quilt Sampler Magazine! There isn’t really a way to describe it, but I can say it is so much more exciting to have done this with a friend! Laura was the first quilter I met when we moved here, all those years ago. To be able to share the excitement with a close friend makes something like this even better – I think we have both been all smiles since we found out a few weeks ago! We did two quilts. The first one, which is the quilt on the magazine cover, was done on my Gammill Classic Plus longarm machine. It was all hand guided. Fabric are batiks, batting is Hobbs 80/20. For the thread, I only use top quality threads. The first quilt I used YLI – Yarn Loft International threads. On the top is YLI silk 100, and YLI Invisible Nylon by Harriet Hargrave. 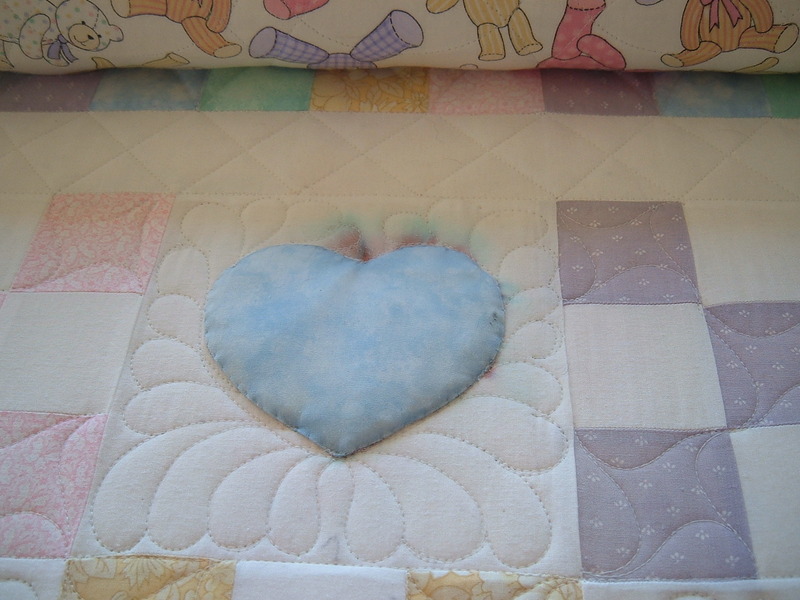 On the back, I used YLI Soft Touch, 100% cotton, in soft blue. 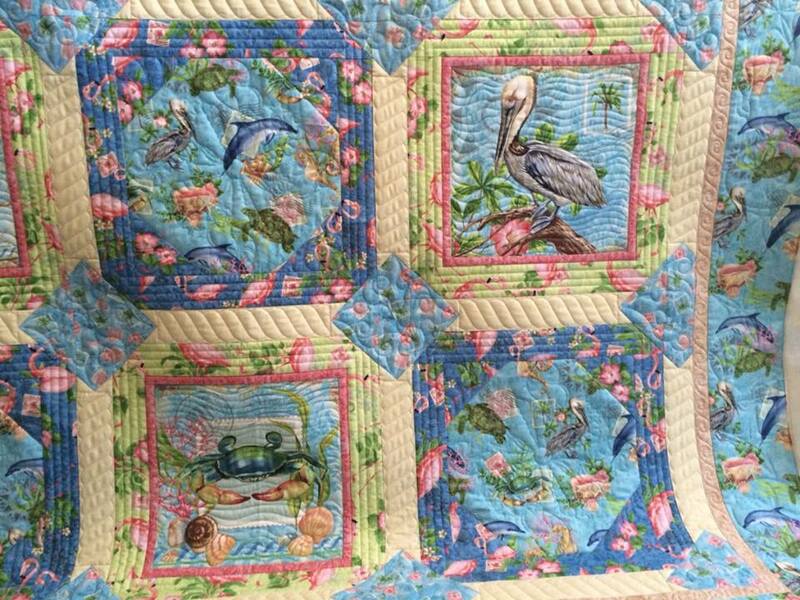 This beautiful quilt top was made by Cotton Patch Quilt Shop, Sarasota, FL. 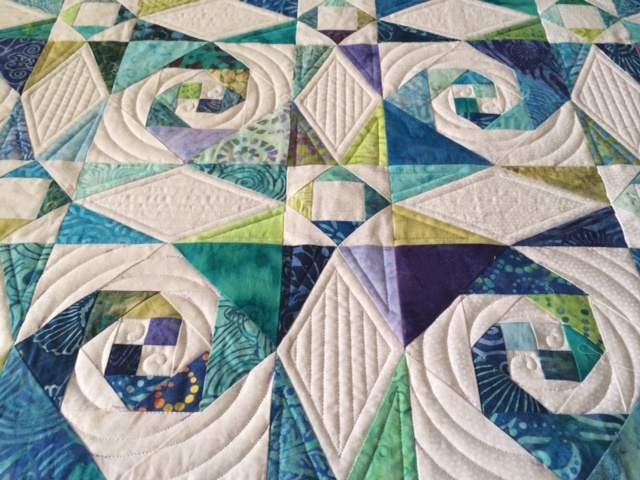 Kits are available at http://www.cottonpatchquiltshop.com. The fabric was designed by Jane Maday for Wilmington Prints based on a trip she took to Florida! YAY! 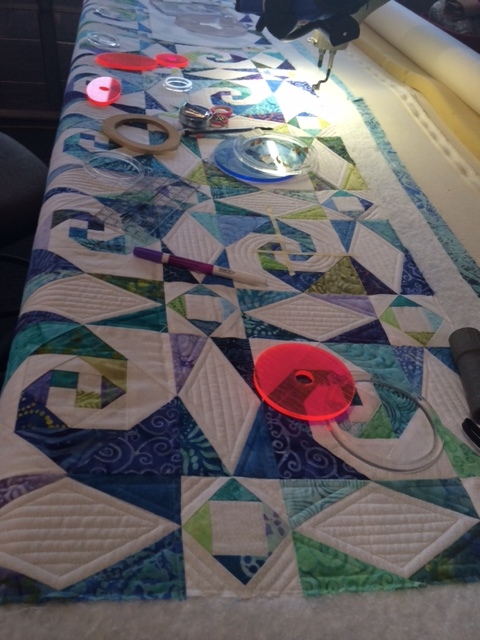 The quilt was quilted with my Handi Quilter machine and a combination of designs on the Pro Stitcher, and freehand. For my quilting peeps, the cable design is from Intelligent Quilting, without whom, this quilt would not have been nearly as pretty! 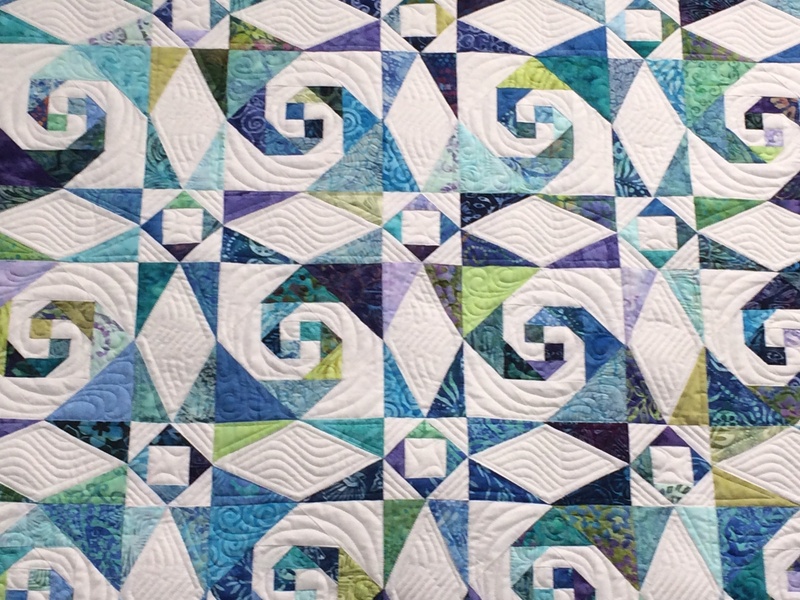 The sea scape design in the center of the blue blocks is from Kim Diamond Designs, also with excellent customer service skills! Both of these companies took great pains to help me get this quilt completed! 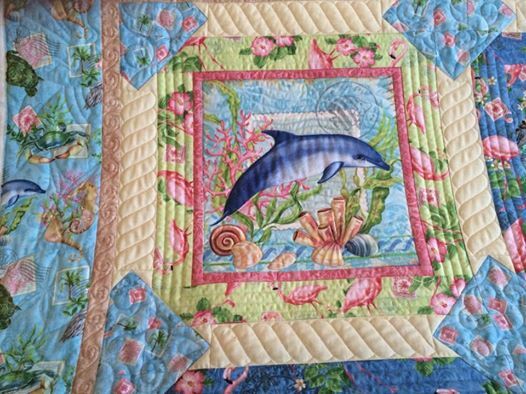 The sea shell designs around the border are from Wasatch Quilting. I guess it takes a whole crew of quilters to get this one completed, but that is what being a quilter is all about. Help is there when you are desperately trying to complete a shop sample! LOL!!! Last week, our community lost 4 young lives in a tragic car crash. One of those beautiful teens was my friend’s daughter, Kelly. There are just no words. We’ve pulled together, we’ve arranged, we’ve coordinated, and we’ve been there for my friend. Our community, schools, and kids are grief stricken. It has been such a tough week here – in fact, one of the toughtest…. 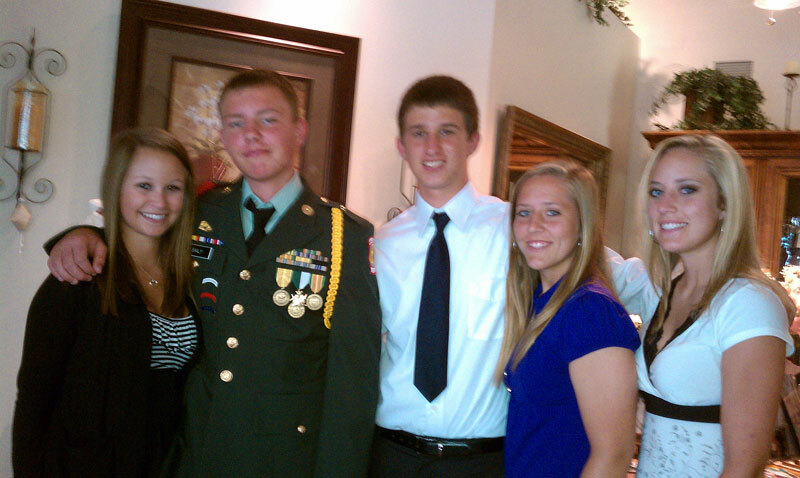 Here is a photo of our beautiful children – at the Celebration of Life for their friend- happy to see each other again, but wishing the occasion was different. I wish I had answers. I wish I had words of comfort. I wish there was something, anything, I could do to make the pain and sorrow less. I hope I never, ever have to help another close friend make funeral arrangements for their child. The outpouring of love and support from the community has been overwhelming. Kelly’s school, Sarasota Military Academy, handled two funerals this week with a dignity, grace, and class that is beyond words. Life is so precious, valuable, and fragile. We are blessed in our community, we are blessed in our friends. Treasure it all…. While I was desperately trying to figure out what was going on with the machine, my friend Teresa in CA was having the exact same issues! We’ve burnt up the e-mails trying new ideas! 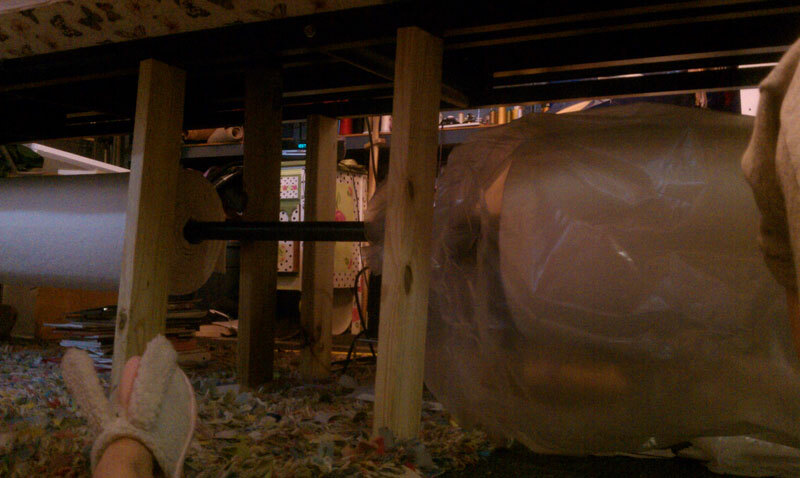 Now, I figured we installed the new wheels wrong – if you are off the space of a small washer, it is enough to throw the balance off. I ordered yet another set of wheels, just to make sure! The Edgeriders arrived, and my wonderful hubby got them installed. We tightened down everything, and nothing! Still claketing, still vibrating. He listens to the motor, and realizes this noise is in the motor. 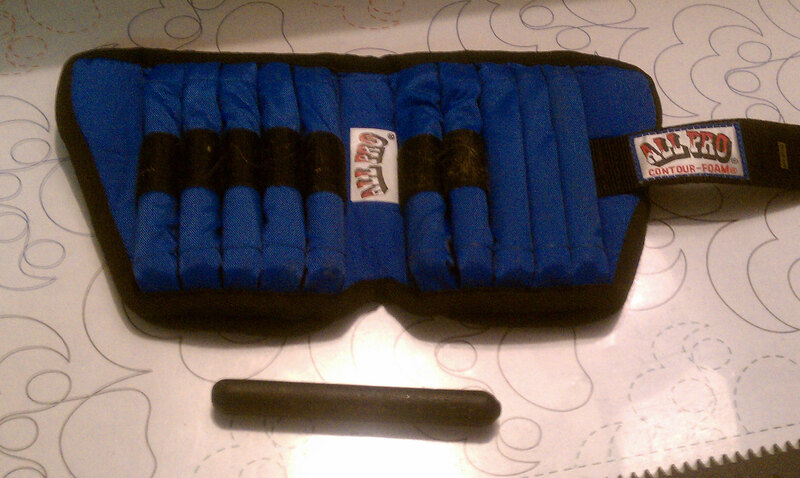 We pulled it apart, again, and replaced the belt, instead of tightening – and now we’re in business! The noise is gone, but the vibration, to my horror, isn’t! I’m just under $400 in wheels, and freaking! Now, the vibration has stopped! And she’s running fine! I’m of course, exhausted….LOL!!! 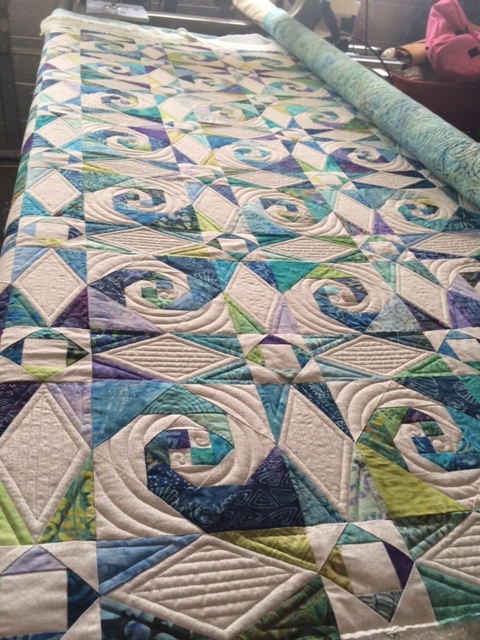 I’m really glad that there are so many longarm quilters that are so ready and willing to share ideas, and help each other. For whatever reason, machine vibrations seem to be the topic of the month, so if this post can help some else regain their sanity, that would be great – then maybe they could help me find mine!! LOL!! I’m really looking forward to getting back to normal! It has been a slow process, and I’m not fully recovered, but am really looking forward to quilting! Schedule wise, I have a custom/show quilt to do for Pam, so stay tuned for the pics, and will be accepting quilts after that! I know – it’s been way too long, but am back among the living! I had some health issues, and had a surgery to correct. What I wasn’t aware of, is the second subsequent surgery and bone graft, a week after the first. Trying to recover from two really knocked me for a loop, and I aplogize for the absence. I’m on the road to recovery, and have had all post op visits and clearance from surgery 1, and surgery 2, well the jury is still out! 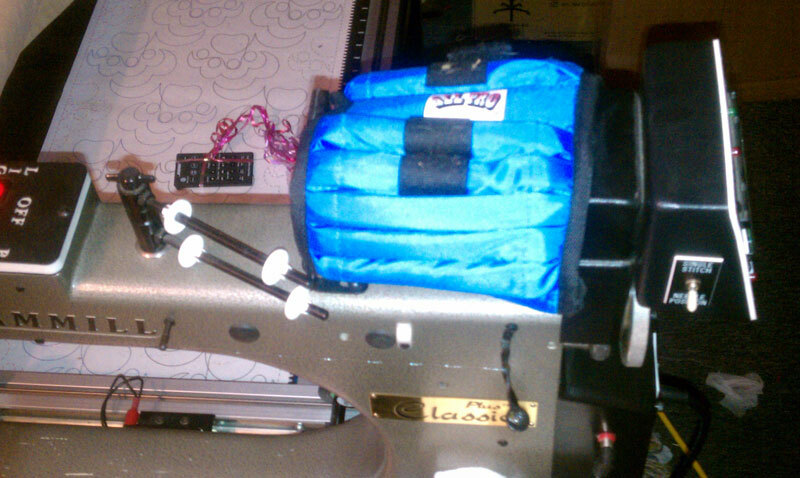 So, maybe 2 weeks ago, I decided to try quilting on the machine, finally! First, prior the first surgery, the machine started acting funny, and was losing power, so I couldn’t use it! Luckily, I have wonderful friends here, and Rose generously allowed me to quilt a few on her machine! And Eileen Barchi of Kindred Quilting also jumped in and did a couple quilts that I was not able to complete! My family was wonderful, and my Dad flew down and hung out for 2 weeks. That was cool because we’ve never had the opportunity to just hang out! So, despite health issues, I am surrounded by Blessings! I would also like to thank the following shops (in alphabetical order) for being so wonderful, and letting everyone know what was going on: Cotton Patch, Patches Galore, and Sew Worth It – you guys have been a wonderful support! So, back to the machine! Luckily, I have the absolute best Gammill dealer in the world, Pat’s Calico Cottage in GA. I called Richard, and told him my machine was losing power. He shipped a box of parts for the repair. We were thinking it was electrical, so the odds on getting the machine up and running weren’t very high! A couple days later, Richard calls, and he said, this has really been bugging me – I don’t think it’s electrical because Gammill had my machine a few months ago, and all that was checked. I think it’s your motor belt. Sure enough, when my husband got home, he took everything apart, and the belt was loose, so we tightened it up, and thought we were good to go! The other thing I did while the machine was down was purchase new wheels for it. When I did my test run a couple weeks ago, the machine was making the worst clackety clack sound I’ve ever heard, and it was bouncing around and vibrating pretty bad. So, we checked, re-checked and no results…. I’m going to end this post, and start another, with pictures so you can see what a longarm quilter goes through to get quilts finished! I’m running around desperately to get ready to leave for the World Quilt Show in Palm Beach! I’m looking forward to leaving the guys at home, and shopping for new threads, rulers, and ideas for quilting! Mancuso puts on a beautiful, professional show, and I’m pretty excited to be attending! What I love about attending the professional shows is that full credit is given to all participants on the quilt in the showbook, and on the winner’s list. 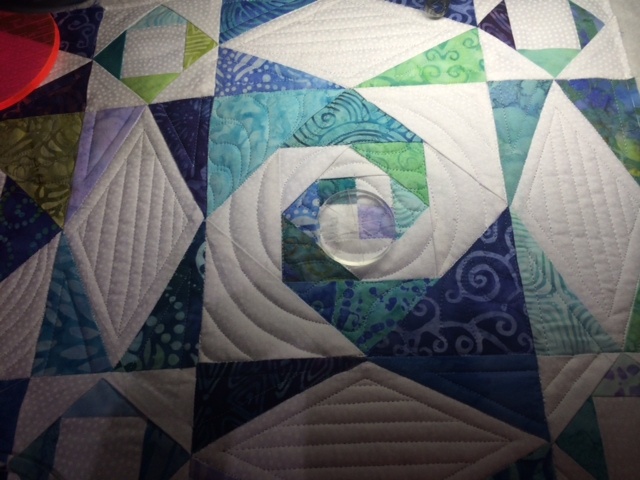 It is really frustrating for many longarm quilters to pour your heart and soul into a quilt, and walk into the show, just as excited as the quilt owner, and NOT see your name in the show book, or the winner’s list, when the quilt has been entered in the GROUP category. The opinions on this issue are pretty strong, but I know for fact that many of us in the business of quilting want our local guilds and groups to succeed in quilting, and many of us contribute toward that end. But, to then be excluded from something you are really excited about seems like a kick to the stomach. 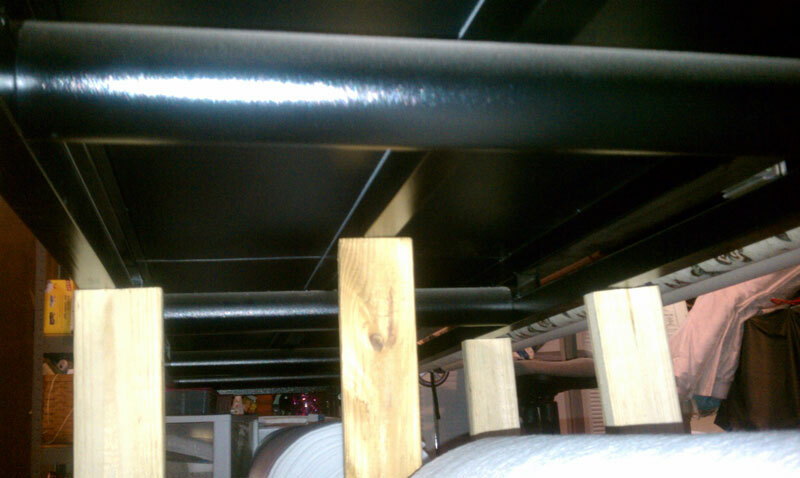 It is really devastating to many longarm quilters when this happens. It is not about the business, but about the excitement of working on a beautiful quilt, and being excluded. 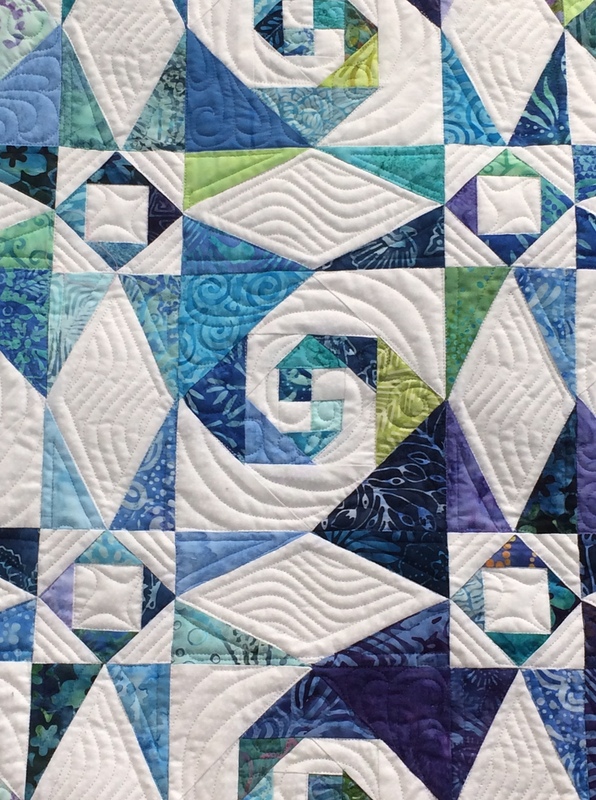 So, that is enough of my soapbox for today – I am looking forward to the World Quilt Show, where all quilters are recognized for their hard work! Please respect that all content on this blog is under copyright protection. 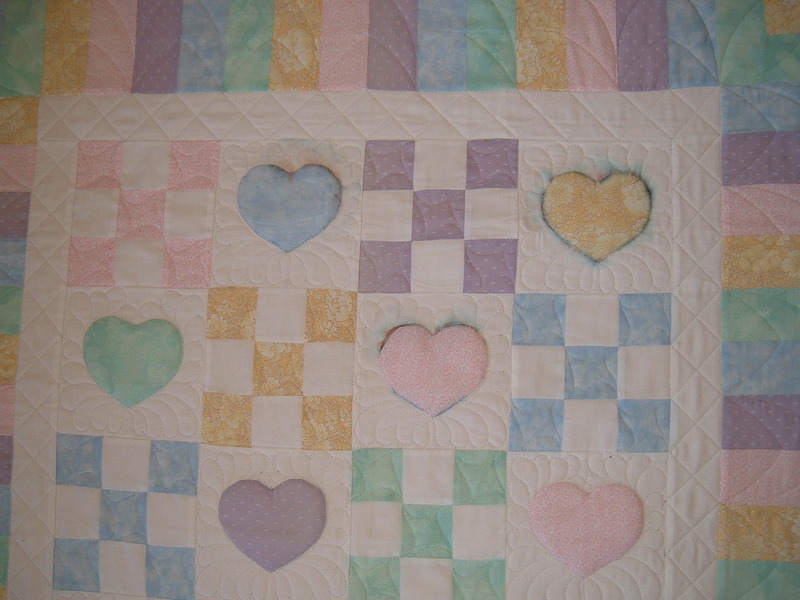 Please do not download or copy content from this blog without written permission from Pink Feather Quilting. Thank you!